Many things make Cashel special—a parish yet more than a parish since it makes up the greater part of the ancient Caladh na hAnghaile, which embraces the greater part of Cashel and Rathcline, referred to in the Annals. Cashel gets it name from the ancient ring-fort situated near the lakeshore in the townland of Cashel adjacent to the cemetery. The word itself conjures up different images for different people depending on whether you are a native or not. It can safely be said that once you have come to know the place and its people you will always have a yearning to return and enjoy its charm. 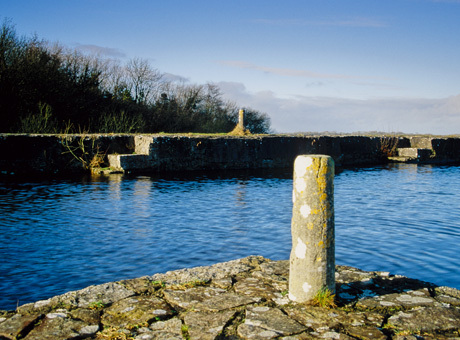 It can be said also that Cashel is very much off the beaten track, a peninsula jutting out into Lough Ree and having a lakeshore stretching from Ballinahinch to Drumnee and beyond. By road Cashel can be entered from many different points, all of which roads, if followed, will lead the traveller to eventually rethink his position, when he inevitably finds himself at such picturesque dead ends as Ballinahinch, Cashel, Elfeet, Barley Harbour, Pullagh, Portanure and Saints Island. While remoteness and accessibility would seem to be contradictory, both have been to Cashel’s advantage, resulting in only those with a genuine and valid reason reaching it. The place names of the parish reflect the fact that in earlier times the parish was heavily wooded—Derrydarragh, Derryshanogue, Ferryglosh, Derrygowna, Dernagran, Derrymany, Derrindiff, Dermacar and Derrycolm all come from the word ‘doire’ which means oakwood, while Portanure and Youghal indicate that there was a substantial amount of yew forests as well. Four groups of islands are part of the parish of Cashel: the Black Islands; Clawinch, Priests’ Island and Inis Clothrann (Inchcleraun or Quaker Island). The largest and most historic island on the River Shannon is Inis Clothrann. The name Clothra was the name of Queen Maeve’s sister and two landmarks on the island are Grianan Meidhbhe and Innod Marfe Meidhbhe. 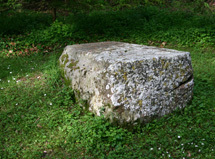 It is reputed that Maeve murdered Clothra while she was pregnant with her son Furbaide, the baby survived and as an adult took his revenge and killed Maeve “with a lic of a stone” thrown from Elfeet Bay to where she was bathing on Inis Clothrann. 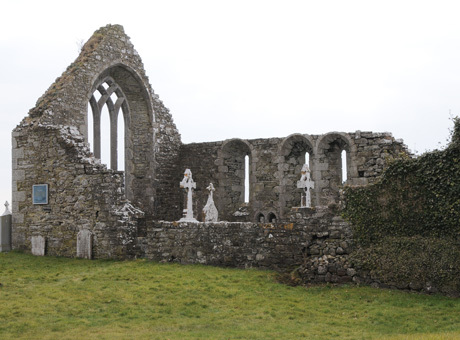 In early Christian times there were two famous monasteries in Cashel parish—Inis Clothrann where St Diarmuid founded an abbey in the year 540AD and and Oilean na Naomh (Saints Island) where St. Kevin founded a monastery in 544AD. On Saints Island—the very name is an indicator in itself of the sanctity of this revered location—can be seen the ruins of an Augustinian monastery that survived up to the time of the suppression of the monasteries in the reign of Henry the VIII. The ruined buildings are a strong reminder of what our people suffered in times of persecution. Persecution there certainly was, but before that, there was the golden era when its monastery was famous for its work and for its writings. Its most famous son was Augustine McGradion, who compiled the Annals of All Saints there in the 15th century. It was to here Mícheál Ó Cléirigh came in the early 17th century to collect material for his great work, now known as the Annals of the Four Masters (a chronicle of medieval Irish history). This historic island can now be approached by a causeway. The ruined monastery buildings still contain some fine examples of Romanesque windows, which are themselves a tribute to the skills of those medieval stone cutters and builders. Close to the shore of Lough Ree are the ruins of St. Catherine’s, the first parish church built in the 16th century. 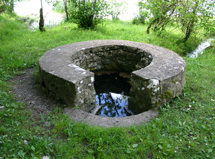 Hidden in the oakwood of Derrydarragh, Lady Well and the Mass Rock are sites where once our ancesters came and worshipped their God in secret during the Penal Times when Catholicism was a proscribed religion in the late 17th and early 18th century. It was from here in Portanure that Oliver Buoy FitzGerald set out with 80 men to assist Sir James Dillon in his pursuit of the English soldiers from Ballinacliffy Castle, who had ransacked the Poor Clares Convent in Bethlehem and scattered the nuns in all directions in the 1640s. The remains of the wall and turret are reminders of the power that once emanated from this place. Many of the emigrants from Cashel in the 19th century made the first leg of their journey to America, South America or Australia on a boat coming from Lanesborough and stopping at Cashel and Barley Harbour to pick up passengers on its way to Athlone. A stop at the old school in Cleraune is a reminder of the days that John Keegan Casey (Leo) (1836—1870) spent there, and especially of the day he wrote A Trip to Connaught for his friend James Costello. 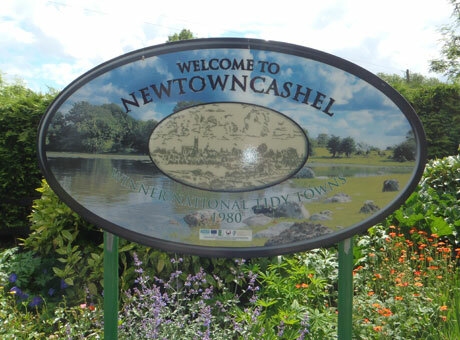 The winning of the Tidy Towns Award in 1980 marked a watershed of sorts between the old and the new way of looking at the wonderful environment that is Cashel. The village itself has many beautiful pieces of sculpture both in wood and stone. At the school the blending of the old and the new is clear as the ancient grave slab of Martin the monk merges with the profuse shrubberies and the beautiful specimens of whitebeam, beech and cherry, not forgetting the whispering poplars, all of which adorn and enhance the grounds. 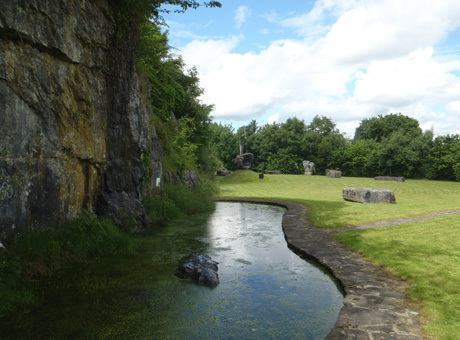 If one were looking for a place to meditate and reflect, one could come here to this Garden of Reflection in Ballyreevagh, where peace and stillness is reflected off the face of the quarry itself and also from every shrub and flower that grows and blooms in its many crevices and corners. This is a most beautiful enclave enhanced by creative hands and minds over the past years and is such a refreshing place to visit for native and stranger alike. What an enhancement to the village is the fountain that stirs more chords in the human heart as its water gurgles down the sides of this huge rock, ressurected itself, from the bowels of the earth in another part of the parish. Barley Harbour, with its pier, which was renovated in the fairly recent past, facilitates many leisure activities like swimming, boating, fishing and shooting. Cashel has may many natural and historical walking routes, through woodland, by lake shore and bogland. Many come here just to pass the time while absorbing the beauty of the place. It is a quiet haven for many passers by who often call to relax in its tranquil setting far from the madding crowds of town and city. Text by James Casey, co-author of Lough Ree and its Islands.